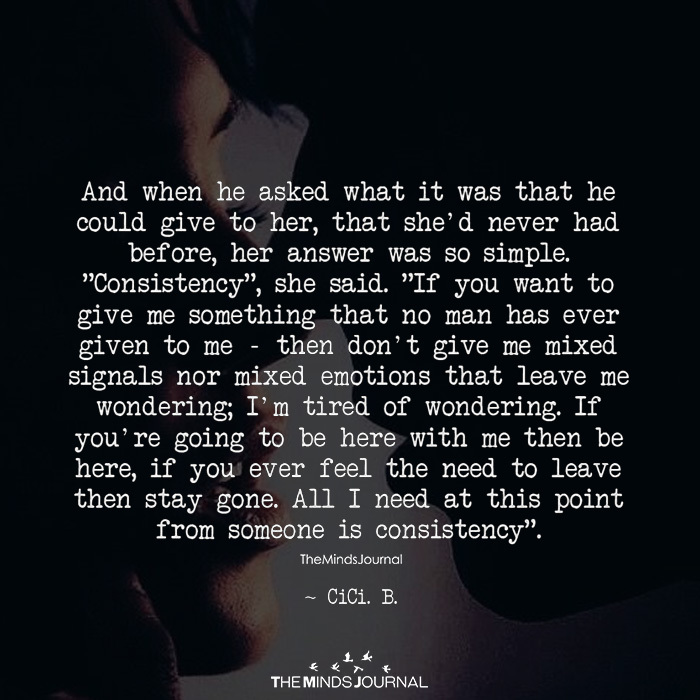 And when he asked what it was that he could give to her that she’d never had before her answer was so simple “Consistency” she said If you want to give … here with me then be here if you ever feel the need to leave then stay gone All I need at this point from someone is consistency. Perfect reply. Any body would want. Irrespective gal or a boy. Real Love , Consistency, Honesty, Loyalty, and Faithfulness, and Truthfulness if he holds these qualities as i do, then he will be appreciated and valued and loved.